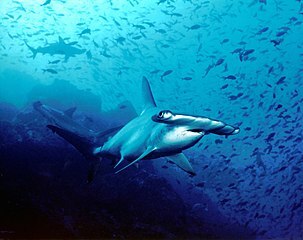 Colombian environmental authorities have reported a huge shark massacre in the Malpelo wildlife sanctuary in Colombia‘s Pacific waters, where as many as 2,000 hammerhead, Galápagos and silky sharks may have been slaughtered for their fins. Seeing dead, finless sharks littering the ocean floor has got to be a sight that no diver will ever forget. Not very encouraging. But when shark fins go for an estimated $125 to $415 per kilogram, it is pretty inevitable.